Returning from the grocery store this morning, I felt the absence of the weight of dog food in bags. 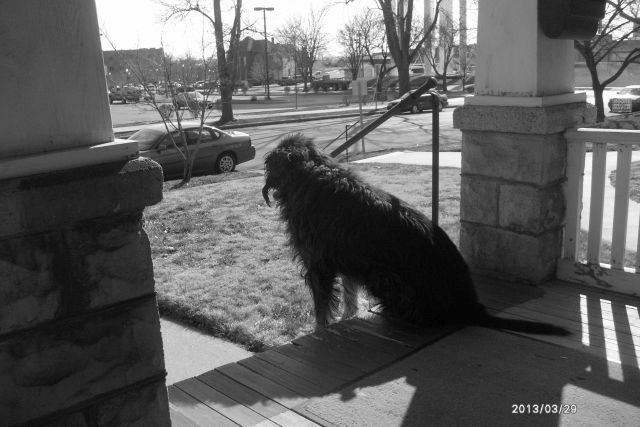 Unlocking the front door, I felt the emptiness of the house: no nose pressed against a window in expectation; no greeting bark; no wagging tail. For the first time in 48 years, no joy. This entry was posted in Uncategorized and tagged dogs by James. Bookmark the permalink.